The Alberta Canola Producers Commission has invested millions of dollars into agronomic research. The results from research are carefully integrated into all delivery platforms including presentations, the Canola Research Hub, Canola Watch, Canola Digest, the Canola Encyclopedia, and the Canola Diagnostic Tool. 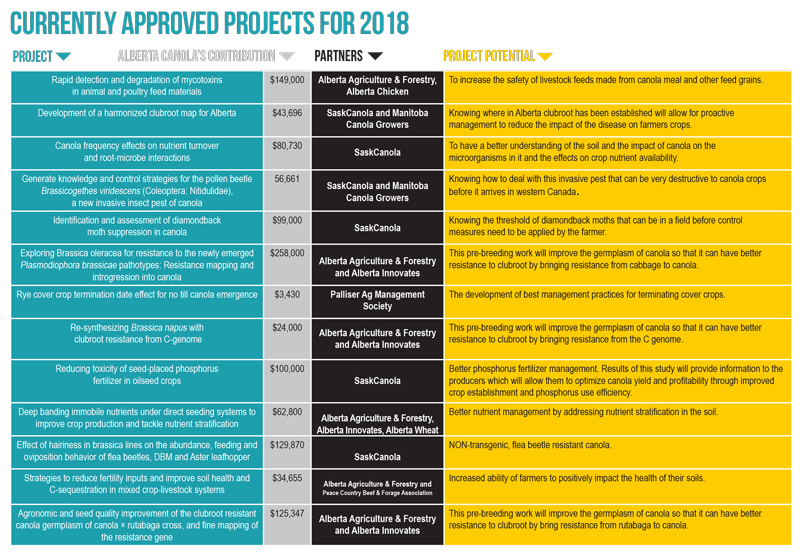 The Canola Council of Canada coordinates many of the research projects that the Alberta Canola Producers Commission and our partners collaboratively fund. 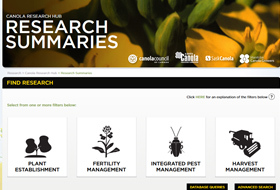 The Canola Council of Canada has developed the online Canola Research Hub that provides canola growers and agronomists unprecedented single point access to canola research. 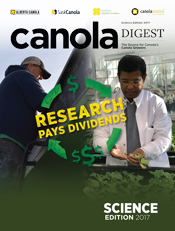 A special Science Issue of Canola Digest is mailed to all canola growers across the prairies in November. 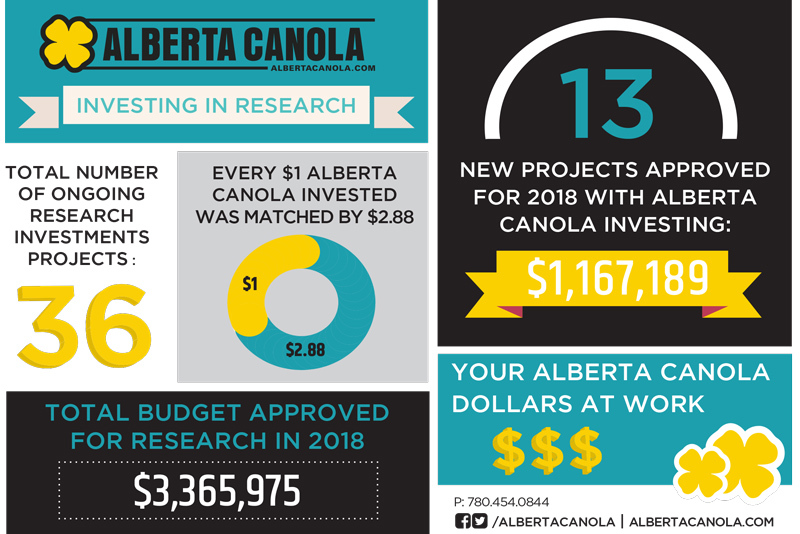 As of March 2018, 13 new projects have been approved with Alberta Canola investing $1,167, 189. For every $1 that Alberta Canola has committed, there is an additional $2.88 of partner funding. How does the Alberta Canola attract research proposals? Alberta Canola participates in the Alberta Ag Funding Consortium, a round table of funding agencies that has developed a common call for proposals, and the Canola Agronomic Research Program (CARP) which is a targeted call for canola agronomy projects in conjunction with SaskCanola, the Manitoba Canola Growers and the Canola Council of Canada. This allows for maximum exposure to both researchers and research funders in Canada. The more partners that Alberta Canola has in its research portfolio, the greater the leverage of grower dollars. In this manner the Alberta Canola works towards its mission of increasing the long term profitability of Alberta’s canola farmers. Canola growers in Alberta that do not request a refund of their check off from the Alberta Canola Producers Commission qualify for a tax credit each year.